Dr. Rebecca Wright is a visiting professor of Computer Science and Director of the Vagelos Computational Science Center at Barnard. She is currently on leave from Rutgers University, where she served as director of the DIMACS center and as the founding faculty advisor for the Douglass-SAS-DIMACS Computer Science Living-Learning Community for first-year Rutgers women in Computer Science. Wright's research is primarily in the area of information security, including privacy, applied cryptography, foundations of computer security, and fault-tolerant distributed computing. Wright serves as an editor of the International Journal of Information and Computer Security and of the Transactions on Data Privacy, and is a member of the board of the Computer Research Association's Committee on the Status of Women in Computing Research (CRA-W). She received a Ph.D. in Computer Science from Yale University, a B.A. from Columbia University, and an honorary M.E. from Stevens Institute of Technology. She is a Fellow of the IEEE and a Distinguished Member of the ACM. Marko is a software developer and academic technologist specializing in data systems, machine learning, and full-stack application development. 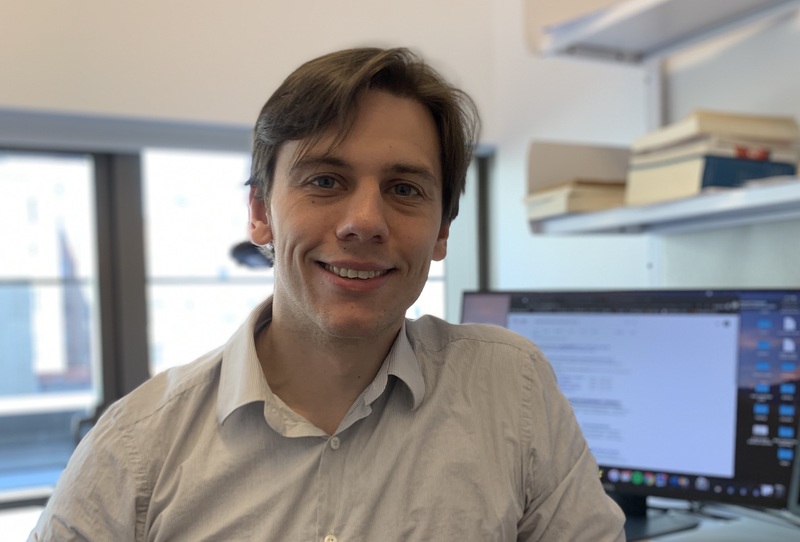 At the CSC, Marko hopes to collaborate with faculty and students on a wide range of projects, from number crunching and data science to creative data visualizations and hackathons. He is currently working toward his MLA, hoping to combine his passion for technology and the liberal arts. Reach out to for programming questions, or if you need any help with a tech project – or just to say hi! Anna Carlson is the post-baccalaureate fellow in the Computational Science Center. She will be available to students as a resource for projects involving data collection, cleaning, visualization, and analysis. She graduated from Barnard in May with a degree in Applied Mathematics. As an undergraduate, she worked as a student fellow in the Empirical Reasoning Center helping students with projects in Excel, R, GIS, and Stata. Anna will also be working as a post-bac fellow in the ERC, so stop by the CSC to learn how both centers can support your computational projects! She can be reached at acarlson@barnard.edu.